Longtime friends and collaborators remember their work and life experiences with the 41st President. President-elect George H.W. 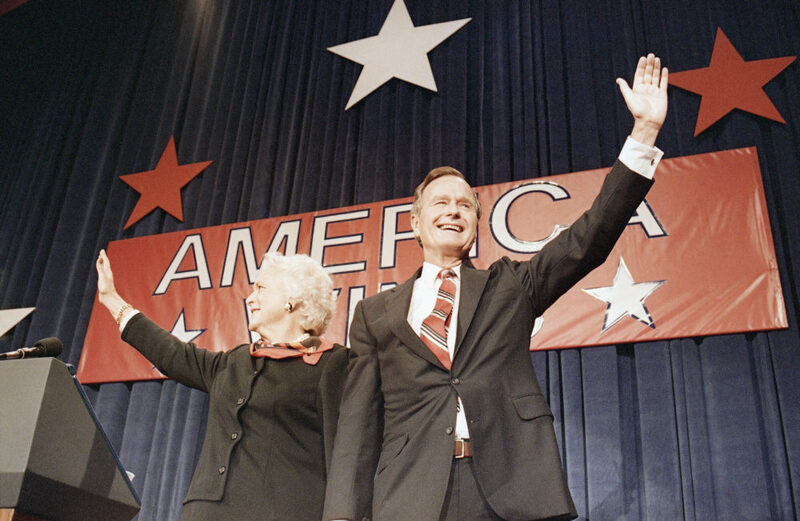 Bush, right, and his wife Barbara, wave to the crowd at a victory celebration rally, Tuesday, Nov. 8, 1988, Houston, Tex. Perhaps better than anyone else, George Herbert Walker Bush embodied the saying, “I wasn’t born in Texas, but I got here as fast as I could.” The Lone Star State shaped his life and career, and he in turn helped transform the state’s politics. 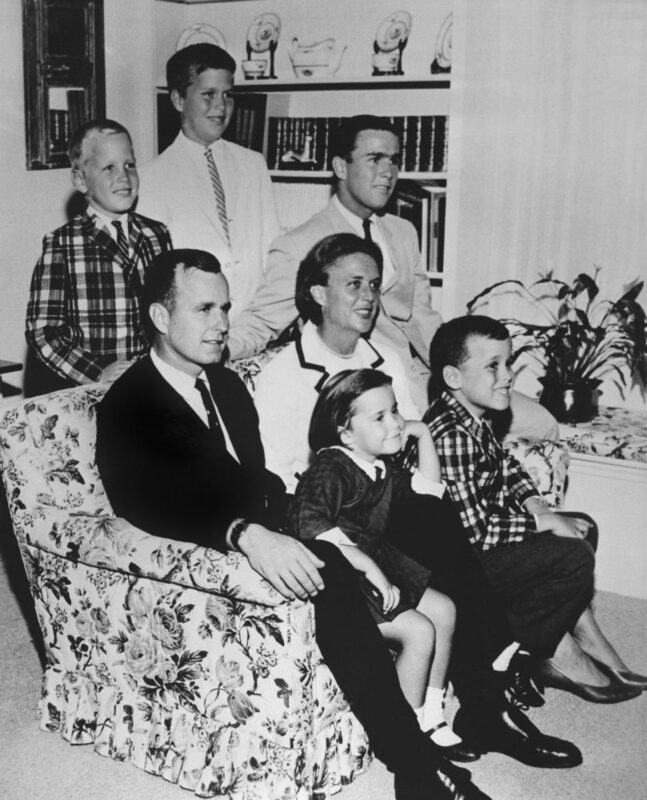 Bush moved to West Texas in 1948 – fresh out of Yale, his wife Barbara and son George W. in tow. Bush first went to work for Dresser Industries. He then cofounded Zapata Petroleum in 1953. When the company split six years later, Bush took sole control of Zapata Off-Shore, moving it, and his growing family, to Houston. George Bush had grown up with a strong sense of the importance of public service. 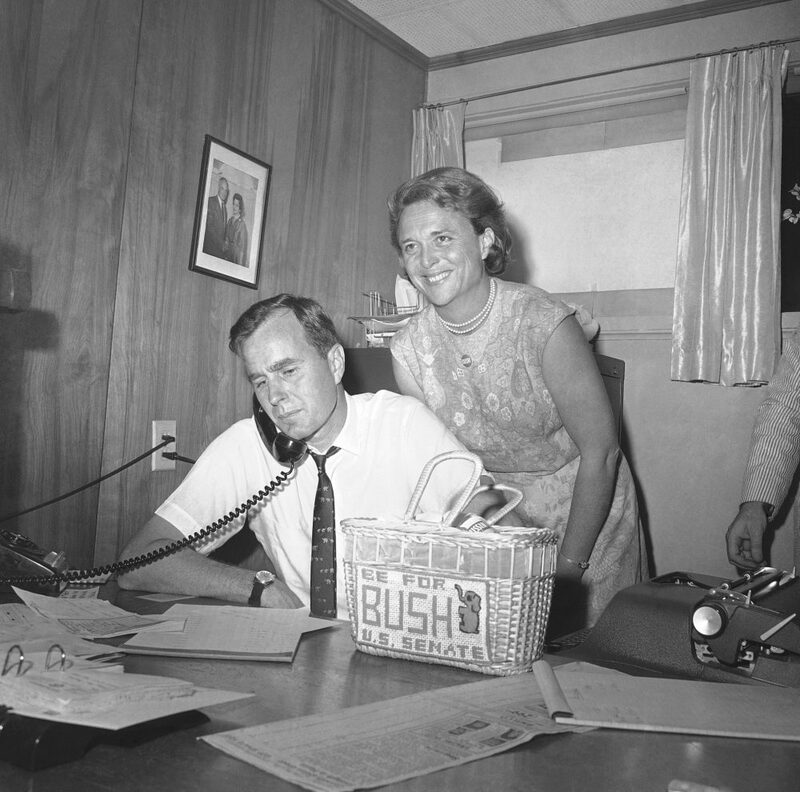 His father, Prescott Bush, was elected senator from Connecticut in 1954. Not long after George Bush moved to Houston, both political parties tried to recruit him. He ultimately chose the GOP and in 1963 became chairman of the Harris County Republican Party. 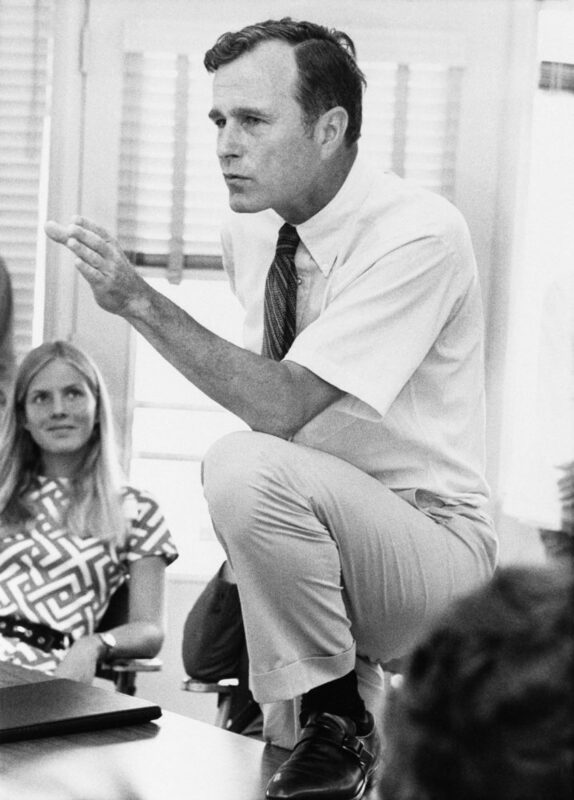 The next year, Bush made his first run for public office. Bush had to work his way through a crowded Republican field to win the nomination. His Democratic opponent was incumbent Senator Ralph Yarborough. The George Bush of 1964 did not come always across as the moderate of later years. This was the year Arizona Senator Barry Goldwater won the Republican presidential nomination. The year 1964 ended in a Democratic landslide, both nationwide and in Texas — little surprise, perhaps, since Texas’ own President Lyndon Johnson topped the Democratic ticket. Bush lost, but he put up a strong fight. Texas’ 7th had elected nothing but Democrats for more than 80 years. But the district had just been redrawn as the result of a Supreme Court case, and Republicans saw an opportunity for a pick up. The party turned to Bush. Untermeyer went to work for Bush that summer. When he returned to help out during spring break of his senior year, Martin Luther King Jr. had just been assassinated, and Washington, D.C. was tearing itself apart. It was at that moment that Bush voted for the Fair Housing Act, the last major civil rights bill of the 1960s. In 1970, Bush ran for the Senate again. He expected a rematch with Ralph Yarborough. But Yarborough lost the Democratic primary to Lloyd Bentsen. Bentsen went on to defeat Bush – accusing him of being too liberal for Texas. President Richard Nixon then named Bush ambassador to the United Nations. Bush led the unsuccessful rearguard to preserve Taiwan’s seat in the body after China’s admission. In this Oct. 18, 1971, file photo, U.S. Ambassador George H.W. 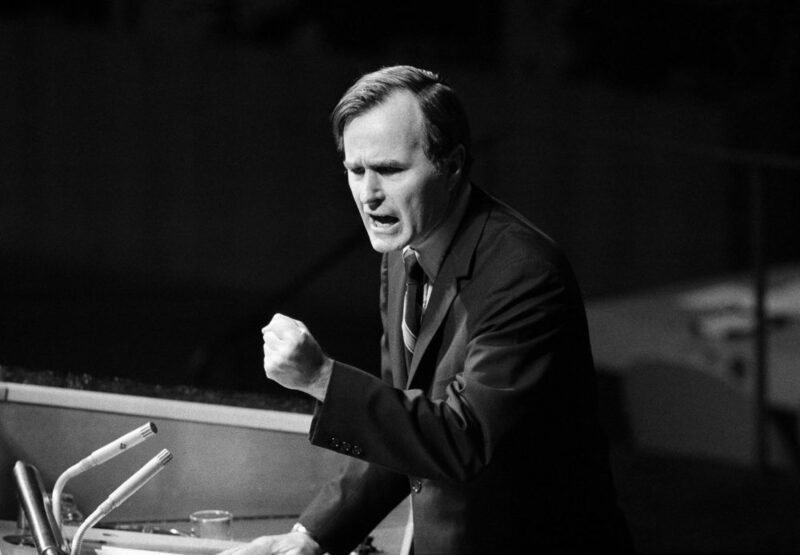 Bush gestures as he addresses the United Nations General Assembly during the China debate. He denied the U.S. formula was either a “Two Chinas” or a “One China and one Taiwan” plan. Bush had last seen Johnson in January 1969, on the day of Nixon’s inauguration. The Houston Republican was one of the few people who went to Andrews Air Force Base to see Johnson off. 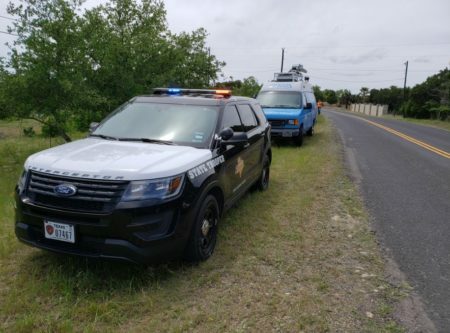 Bush had left his own reception to bid his fellow Texan goodbye. Now, four years later, LBJ was only too happy to see Bush again. Johnson took him on a tour of the ranch while Roussel waited by the plane. They returned at dusk. Bush and Roussel were two of the last people to see Johnson alive. The former president died a few days later, but Bush had little time to dwell on Johnson’s death. Nixon had asked him to become chairman of the Republican National Committee just as the Watergate scandal began to unfold. Bush spent much of his two year tenure crisscrossing the country, telling Republican voters that their party and Watergate were not one and the same. Bush defended Nixon until almost the end. But on August 7, 1972, with Nixon facing impeachment and likely conviction, Bush wrote Nixon a letter advising him to resign. Nixon didn’t answer, but he made the decision to resign the next day. When Gerald Ford took office as President, Bush found himself on a very short list of candidates for vice president. But as the days stretched into weeks, he grew convinced his rival, New York Governor Nelson Rockefeller, would get the job. Bush was in Kennebunkport, Maine, watching TV on the porch with Roussel, when he got the call from President Ford. Instead of vice president, Ford named Bush his envoy to China. A year later, Ford brought Bush home to lead the CIA. Then Jimmy Carter defeated Ford in the 1976 presidential election, and Bush found himself back in the private sector. In 1977, he began working on a memoir of his career in government. But Bush soon decided he wasn’t ready to leave politics behind. Bush formally entered the race in May 1979. His chief rival for the Republican nomination was former California Governor Ronald Reagan. It was a bitter contest. Both men believed the size of government needed to be reduced, but Bush didn’t share Reagan’s view that government was the problem. The two debated in Houston in April 1980. Bush lost the Texas primary to Reagan and withdrew from the race a few weeks later. He traveled to Detroit that July with little expectation of a role in the coming campaign. Bush invited Peter Roussel to join the family at the Crowne Plaza Detroit Downtown Riverfront hotel. Roussel had just lost his father, and Bush didn’t want him to be alone. Reagan named Bush his running mate on the ticket for the vice president position. George Bush immediately sank his differences with Reagan. Neil Bush says that from that moment, through the election and ever after, his father never spoke a word against his erstwhile opponent. 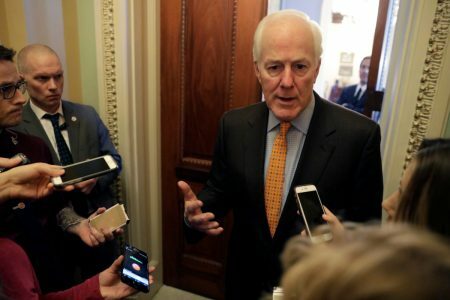 “He was so loyal to the president and respectful of his role as vice president, that he would never do anything, even talk within the family about differences he might have had with the president,” he says. President Reagan had been shot. Bush had been scheduled to address a joint session of the Texas Legislature. Air Force Two did fly to Austin, but only to refuel before heading back to Washington. Reagan spent the next two weeks in the hospital. Despite a notorious remark by Secretary of State Alexander Haig, it was Vice President Bush who was in charge until the president returned to the White House. Meacham says the experience of Bush’s two immediate predecessors shaped his view of how a vice president should behave. Pres. 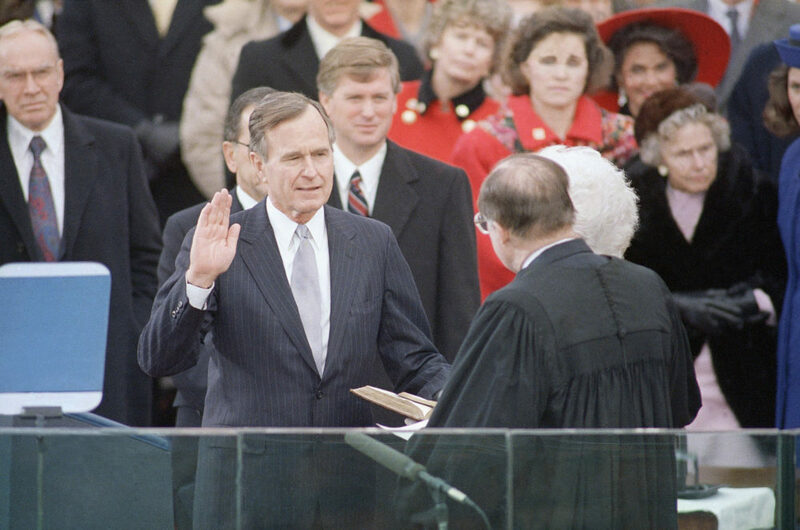 George H. W. Bush, left, raises his hand as he takes the oath of office as President of the United States outside the Capitol, Friday, Jan. 20, 1989, Washington, D.C. Vice Pres. Dan Quayle watches from behind. This time, Bush captured the Republican nomination. He went on to crush his Democratic opponent, Massachusetts Governor Michael Dukakis, in the fall. In doing so, Bush made history. He was the first sitting vice president in more than 150 years to be elected president. The UN Security Council passed a resolution giving Hussein until January 15, 1991 to withdraw his troops. When the deadline expired, Bush launched Operation Desert Storm. It took less than eight weeks to drive Iraqi forces out of Kuwait. Bush’s approval rating soared to more than 80 percent. That began to erode as a brief recession gave way to a sluggish, jobless recovery. Unemployment peaked at close to eight percent in the summer of 1992 – just before the Republican National Convention in Houston. Bush signed the North American Free Trade Agreement, better known as NAFTA, before the year was out. The deal would transform the U.S. economy, to the lasting benefit of Texas. But it was tremendously controversial. Third party candidate and fellow Texan Ross Perot made his opposition to it his signature issue, saying it would cost American jobs. Perot won nearly 20 million votes – more than enough to tip the balance away from Bush and give the victory to the Democratic candidate, Arkansas Governor Bill Clinton. Pierce Bush says his grandfather lived up to that pledge from the moment he returned home from Washington. “I still remember the day when my grandfather showed up, and we went over to West Oak Drive, and we had some signs saying ‘Welcome home, Ganny and Gampy,’” he says. In “retirement,” George Bush began a schedule of speechmaking, correspondence, and philanthropic work that could exhaust a man half his age. Jim McGrath helped Bush to set up his post-presidential office. He ultimately became Bush’s speechwriter and chief spokesman. Bush took great pride when his sons George W. and Jeb won the governorships of Texas and Florida, respectively – and when George W. won the presidency in 2000. Inevitably, people drew comparisons between Bush 41’s conduct of the Gulf War and Bush 43’s conduct of the Iraq War. But McGrath says the elder President Bush never tried to second guess his son, let alone influence him. In the mid-2000s, Bush was diagnosed with a condition similar to Parkinson’s disease that ultimately cost him the use of his legs. He kept active as long as he was able. In October 2017, he joined four other former presidents on stage at Texas A&M University to raise money for victims of Hurricane Harvey. The younger President Bush paid tribute to his father. Soon after, as the #MeToo movement gathered steam, several women accused the elder President Bush of groping them. He offered numerous apologies. Unlike many other high profile figures so accused, Bush emerged with his reputation largely intact. In this May 3, 2006 photo, former President George H.W. Bush embraces former first lady Barbara Bush after she introduced him at the Genesis Women’s Shelter Mother’s Day Luncheon in Dallas. The Bushes had the longest marriage of any presidential couple in American history. 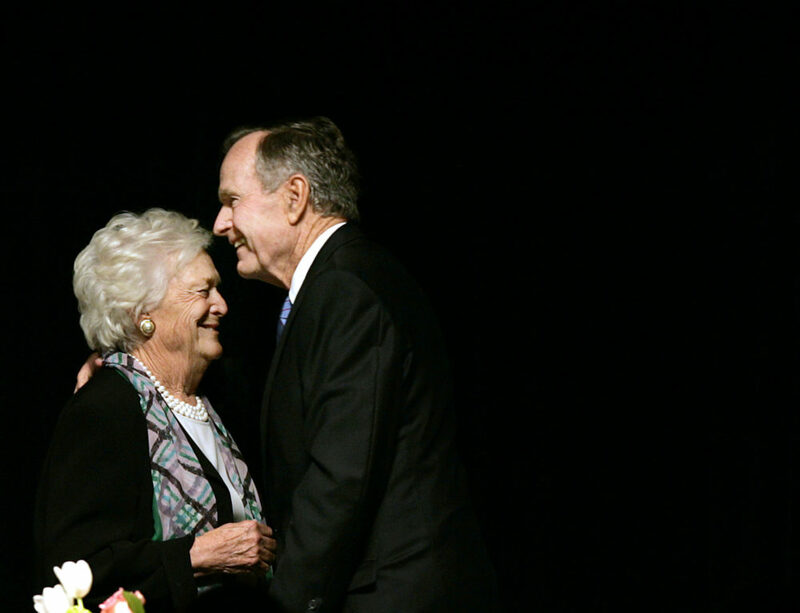 When his wife Barbara died, George Bush lost the love of his life and his indispensable partner of 73 years. Their marriage was the longest of any presidential couple. For Bush, it was the beginning of the end. Chase Untermeyer believes that history is already proving much kinder to George Bush than the voters of 1992. 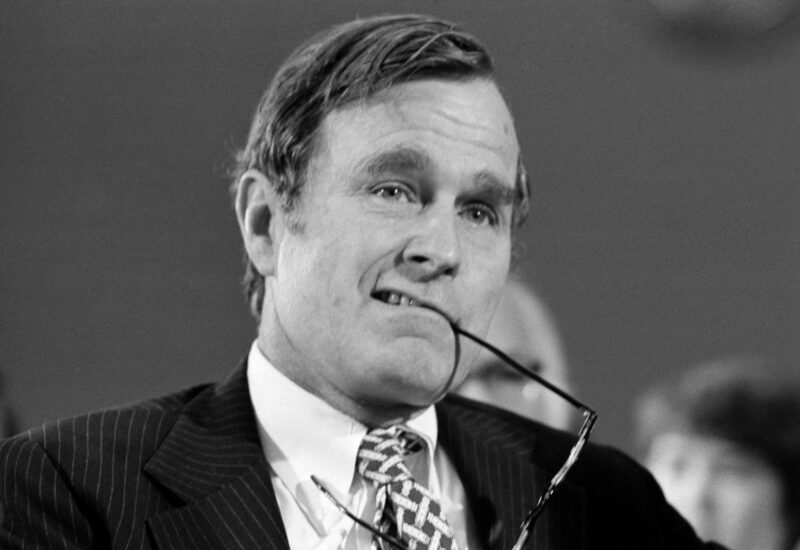 “There’s a degree of satisfaction that people now look back upon the single term of George H.W. Bush as a peak of American government, of honorable service, of experienced judgment,” he says.